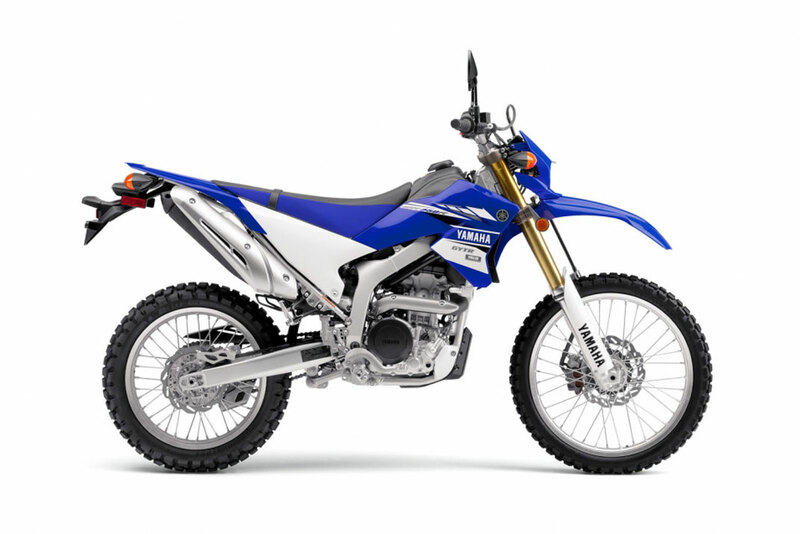 Much more than just another trail bike, WR250R is distilled from Yamaha's world-dominating off-road know-how with emphasis on rugged reliability. This small capacity machine makes for a superb lightweight adventure tourer, fully capable of tackling a desert crossing and not just the cut and thrust of the weekday commute. Equipped with lightweight titanium inlet valves, the liquid-cooled, 4-stroke, DOHC, 4-valve, single-cylinder engine pushes hard all the way to 10,000 rpm, making this one of the strongest 250 singles ever built by Yamaha. 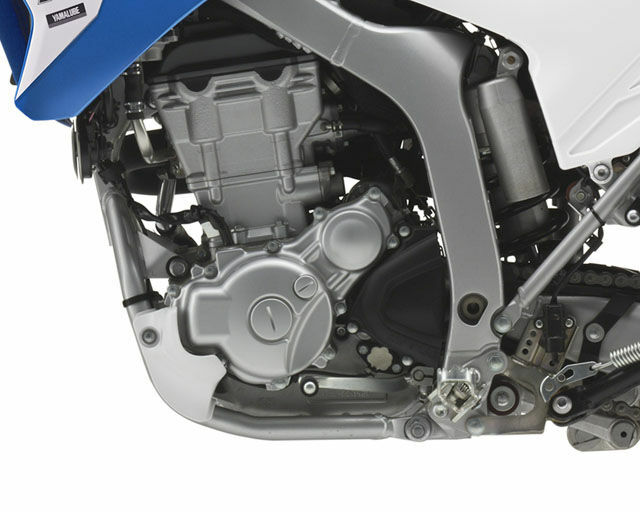 The WR250R's 6-speed transmission has been specially developed to optimise the power characteristics of the new high-compression short-stroke engine. The ratios have been carefully selected to deliver impressive performance and strong driveability in a wide variety of situations, from city streets through to twisty trails and fast dirt tracks. The WR250R's instrumentation has been designed to offer good levels of visibility and operability, while also being light and compact. The basic mode display includes a speedometer, clock and tripmeter, while the measurement mode includes a stopwatch and distance-compensation tripmeter. 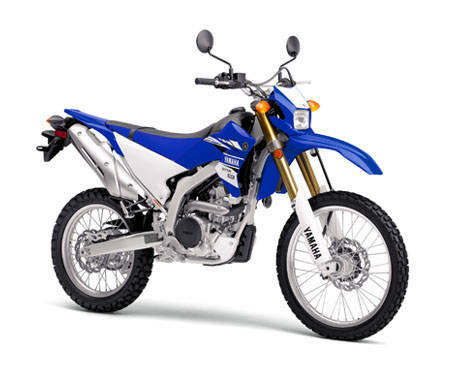 In order to achieve class-leading throttle response together with fuel economy and environmental responsibility, the WR250R is equipped with a fuel injection system. Sensors monitor crank, intake air pressure and throttle position allowing it to calculate the engine's optimum fuel volume, intake air volume and injection timing.